We survived that late-fall snow! It quickly reminded me why winter is not my favorite season. 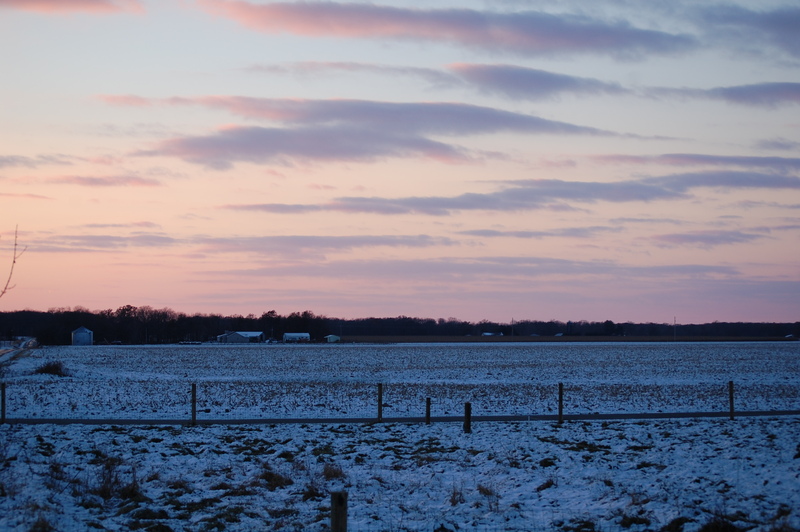 2014 was definitely the year that winter returned to Illinois. So, I am taking the attitude that since it is still 2014 …. this early storm was carry-over from the Polar Vortex or whatever it was called and not an indicator of what is ahead. It tends to take me awhile to “accept” winter. I am not sure I will ever welcome winter. In winter, I struggle with my attitude. Winter touches so many months, though, I have to get a grip. Soon. What will my course of action be? Nap? Curl up with a blanket and good book? I will, however, of course, just make the coffee, even though I feel a little villainessy. I will work on this ‘tude, knowing full well that the ground, trees, plants need their rest. I will look at it from nature’s point of view. This is the way it is in central Illinois. And at least I am not in Buffalo, New York. I will embrace my office view! This. Is. Winter. Hear me ROAR! 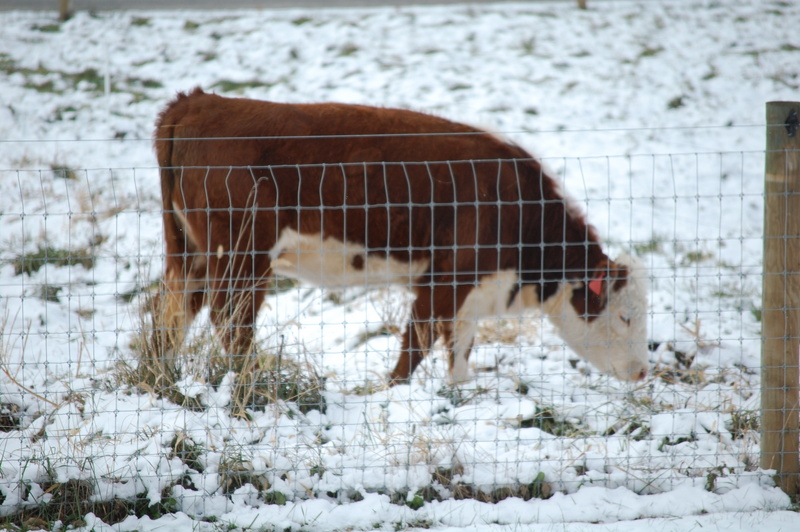 This entry was posted in Country Living, Polled Herefords, Positive Thinking and tagged Illinois, Kittens, Polar Vortex, Polled Herefords, winter. Bookmark the permalink. 10 Responses to Hear me ROAR! You know it! We are under a wind advisory today … dreading the evening chores. Not a fan of winter, either. I’m thinking the blanket and book are a good idea! Yes, thankfully we are not in Buffalo! Last winter I decided that winter lasts too long to hate it; so I need to embrace the “opportunity” to do inside things more. But, the chores are inevitable … and I still grumble about the weather! Yes, you HAVE to go outside, no matter what the weather. I know your animals delight in seeing you. I always enjoy your photo stories. I’m not a fan of winter, either, but thankfully, we don’t have as severe weather as some areas. 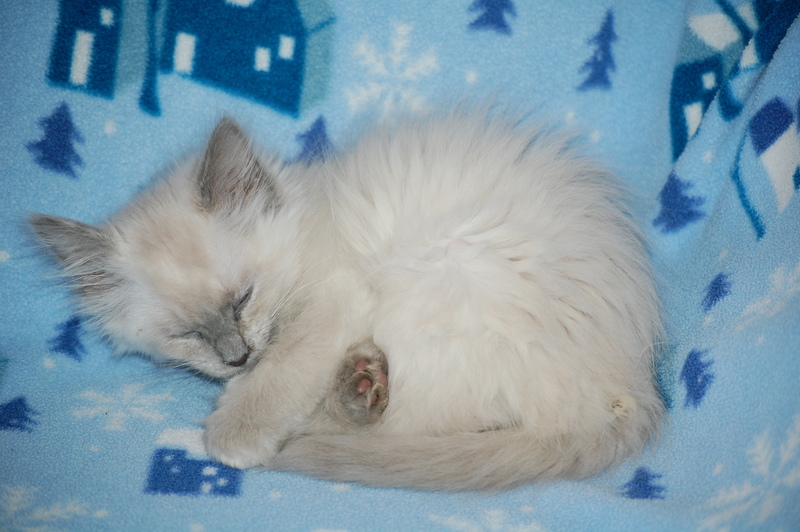 Love your kitty photos, such sweet little balls of fluff! One of the kittens is going to his forever home this evening. Sad, but she will provide him a purr-fect home! Thank you for reading and glad you enjoy!! How can winter be so bad with those beautiful kitties to dote on? 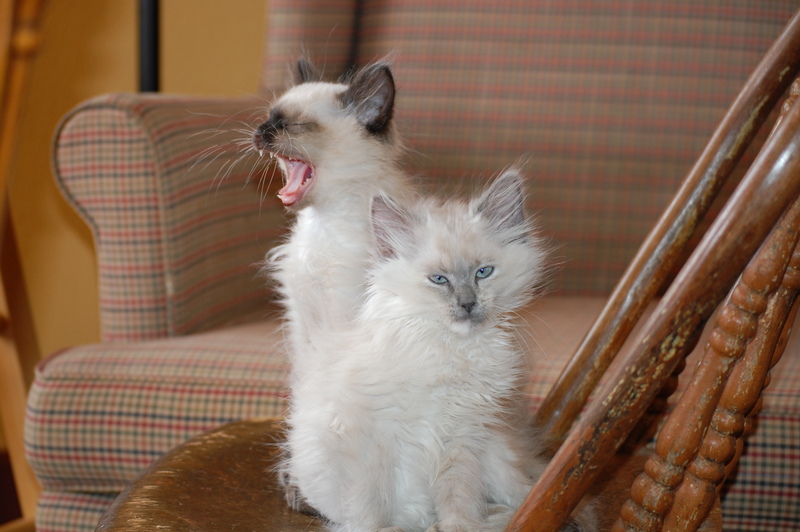 One chocolate point and one blue point. I had to look at the kitty photos twice. Exactly why I need to keep one, right?! 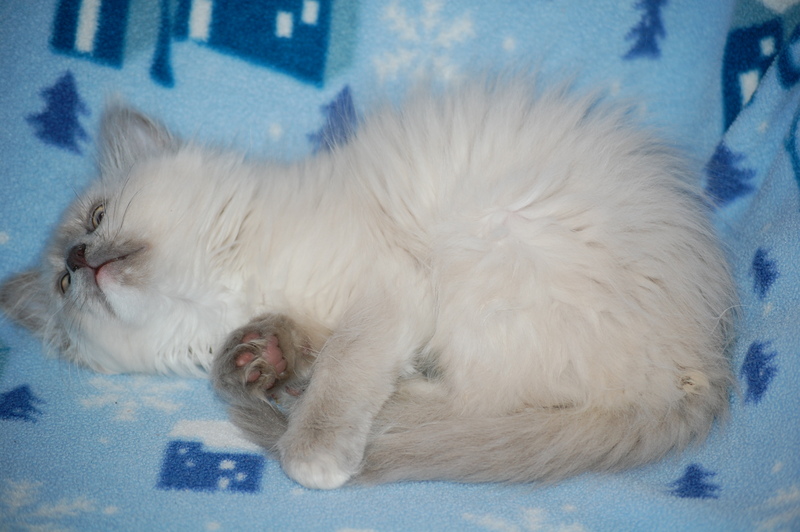 The choc point is supposed to go to his forever home tonight. She is a great young lady and I know he will be well-loved.